The following champions counter Leblanc and can be used to absolutely dominate her in almost every regard. 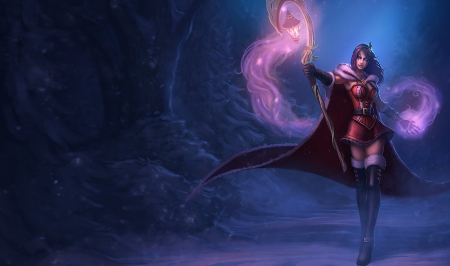 Although a good Leblanc can still win with some jungle assistance or roam, generally speaking her strategy will suffer against these champion counters. Malzahar - Malzahar's passive automatically blocks one of Leblanc's spells. As a champion that relies heavily on combos, this is extremely rough. Pre-6 Malzahar will still want to play safely, but post-6 he absolutely destroys any attempt Leblanc makes to hurt him. His waveclear is also much better than Leblanc's, which allows him to shove her to lane without worry. Morgana - Similar to Malzahar, Morgana's able to push in her lane with little counterplay. Meanwhile, her black shield means that Leblanc will never be able to crowd-control her. Lastly, Morgana's ultimate is able to go straight through Leblanc's passive while drawing a line to exactly where she's standing. Xerath - Like Malzahar, Xerath needs to be careful early game. However, later on he's perfect for countering Leblanc. His stun moves in a straight line and will hit Leblanc every time she starts her distortion, opening her up to massive AOE damage. Xerath's poke is also considerably higher ranged than Leblanc, which means he can drop her down before she even has a chance to fight back. Got more tips for countering Leblanc or champions that work well? Comment below!